Economics & viability: can I afford to do this and what is my goal outcome? Experience: Have you reared before or is it your first time? Quantity: How many animals shall I or can I rear? Infrastructure: Do I have the facilities to rear high quality calves? Cost: How much are calves, shelter, equipment and feed? Pasture: Do I have enough good quality pasture for the number of animals reared? It is recommended to choose calves that are a minimum of 37kgs in weight and above but a general rule is the bigger the better. If someone is helping you, whether it is a friend or stock agent, tell them that this is an important requirement. Next, they must have had adequate colostrum from either their own mother or a mixed source of cows and look lively and strong, not lethargic or sore or have any visible signs of bleeding or lumps, especially around the navel. It is very important when transporting your young calves from sales yards or a farmer’s property that they are kept warm as possible by putting a wind proof lining around the transport cage or trailer. Wind chill can kill young calves especially if they are wet as this can lead to hypothermia or infection due to exposure. Make sure to line the tray with hay so they can lie down and have a softer place to fall if unbalanced. Good housing or shelter goes a long way in protecting your calves and your investment. Choose a shelter that is protected from rain and is warm and draft free as calves will grow faster due to not using energy to stay warm. Ideally housing should face north to get sunlight as this warmth helps kill bugs and dry damp bedding that can cause infection or sickness. 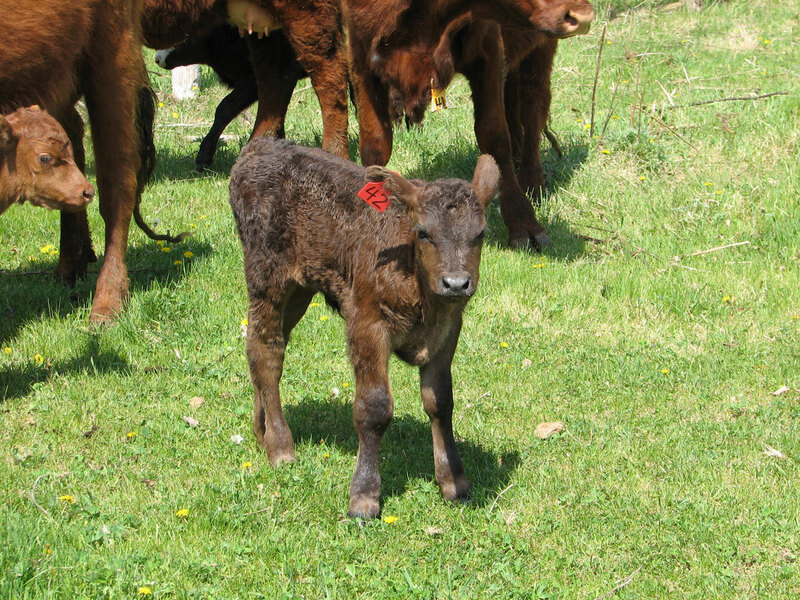 Ideally calves should be kept inside for at least 4-5 weeks for beef rearers and 2-3 for dairy heifer replacements. Do not make pens too big. A pen size of 5-6 or 8-10 calves is plenty depending on the size of the shelter but allow for 1.5 square metres per calf. Upon arrival at home, feed calves an electrolyte supplement of about 1L/head as stress can cause scours and fluid loss during the ride home. The next day you can start your normal feeding regime. Make sure the calves have access to fresh clean water, hay or straw ad lib for roughage and introduce meal straight away as well as the whole milk or CMR mixture to be fed on whatever system you have decided. 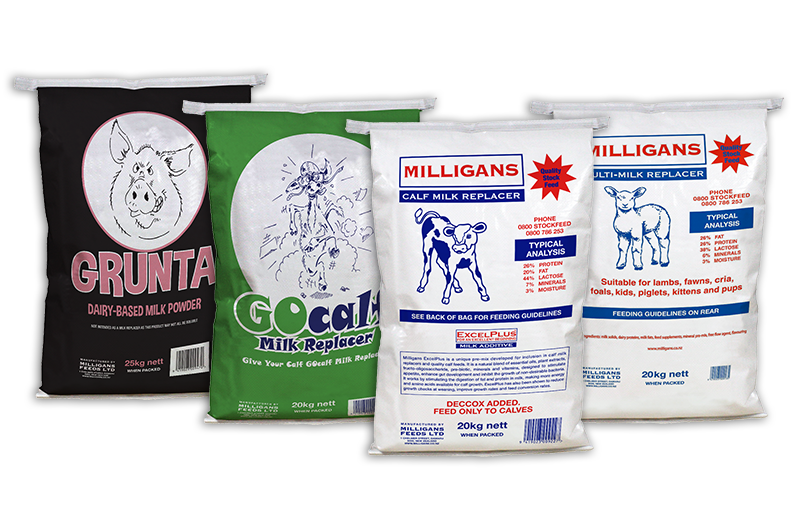 Calves can be weaned off milk once they achieve a 20kg weight gain over birth weight and are eating at least 1kg of meal/pellets. There are two options for feeding; the traditional ‘Twice a Day’ system or the milk restricted ‘Once a Day’ system. 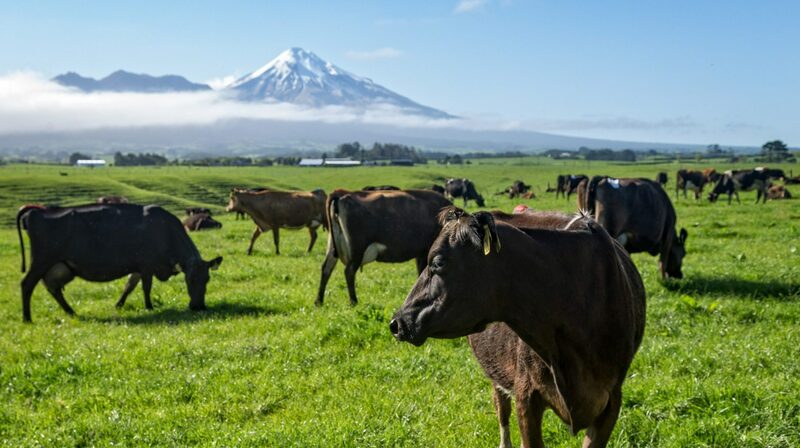 When calves get access to pasture it is important to feed meal up to 1.5kg/head per day until at least 10 weeks of age to allow the calf time to adapt to the new diet. 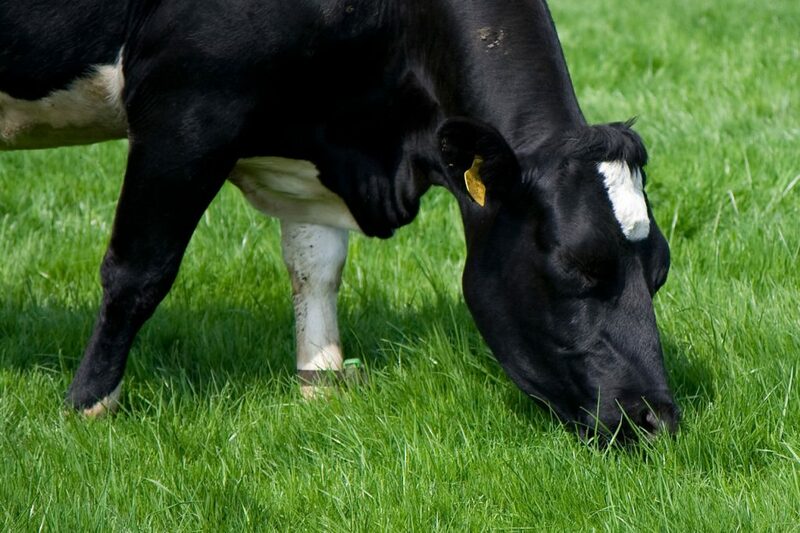 Good quality pasture with clover and a substantial quantity of cover is important to keep growth rates going up. 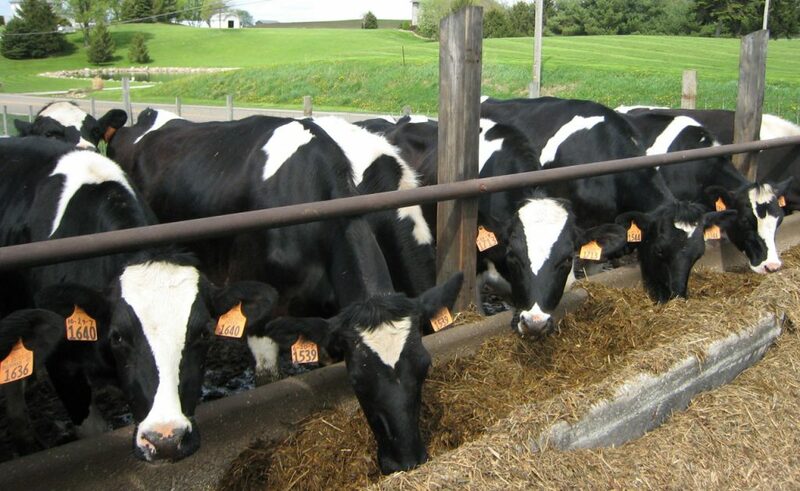 If pasture is of poor quality then a silage or baleage substitute is ok but pellets must be still fed. Allow access back to shelter if weather turns bad as this can check growth rates if calves are cold from not eating enough. This is the most important part of rearing with calves being so susceptible to disease and infection. Thoroughly scrub feeding equipment including feeders, buckets, teats and mixing utensils with HOT water and detergent or sanitiser. Use a broad spectrum disinfectant to spray pens on a weekly basis taking care to avoid feed troughs, water and of course calves. Regularly clean areas where sick calves have been treated and spray after each clean. Make sure you have a spare pen as a ‘sick bay’ so you can keep sick calves away from healthy stock as not to spread infection. Wear easy to clean waterproof clothing especially around sick calves. Clean nose should be moist, cool and clear of discharge. Dull coats/tight skin if you pinch the calf’s skin and it’s slow to return to normal, it may be dehydrated and require electrolytes. Scours – Nutritional usually has normal temperature as is eating normally but faeces are white or yellow. Scours – infection Usually a yellow or brown colour that can sometimes contain blood and has a bad odour. Temperature is usually elevated. Blood in faeces this can be normal for first few days after birth. Swollen navel could be a hernia, infection or pizzle sucking from other calves? Remember, if in doubt, contact your vet!